Gulaschsuppe is a hearty and beloved soup in the Eastern part of Austria – the part that borders on Hungary. Like Kaiserschmarrn, you will find this recipe on menus in both fancy restaurants and casual dining establishments. It is a real comfort food. 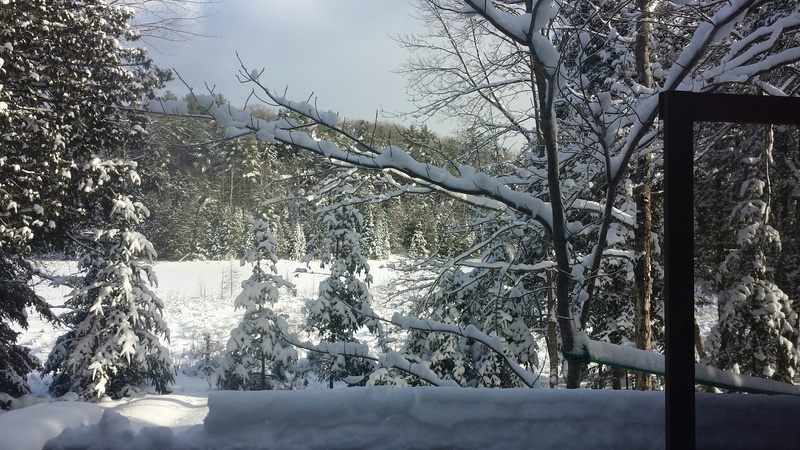 I made a batch to take to Sugarloaf for our ski holiday. 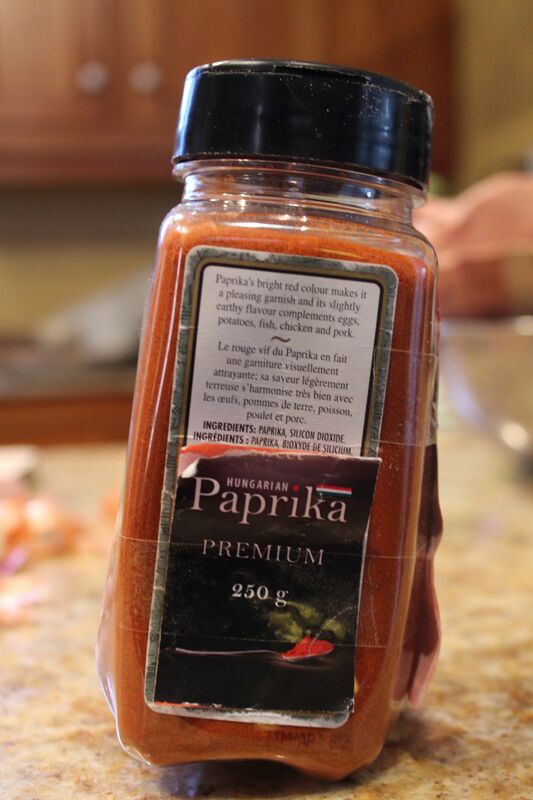 Unfortunately, the stunning paprika we brought home from Hungary this fall was a bit hotter than I had anticipated so hopefully the kiddos can handle it. Breaking news: The paprika seems to have mellowed with the addition of the potatoes and the simmering so I am confident the kids will love it. 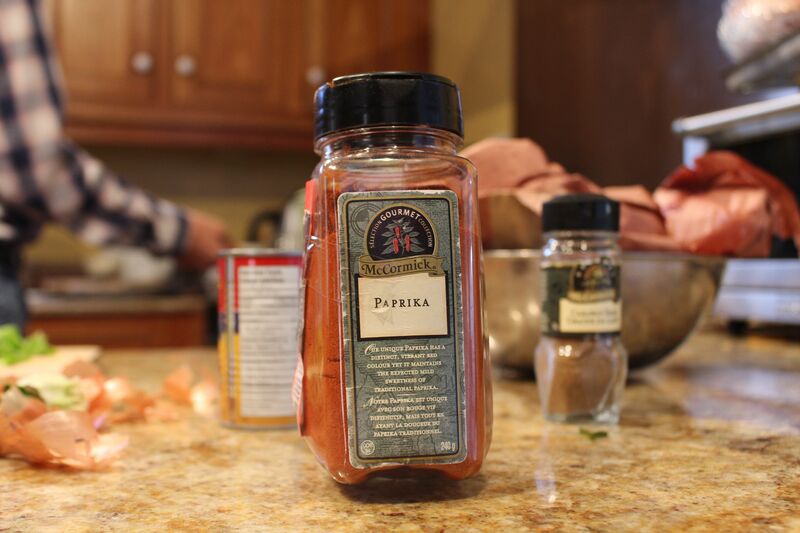 McCormick’s paprika: Can you believe it contains silicon dioxide?! There are many variations on this soup but caraway and lots of good quality paprika are essentials. 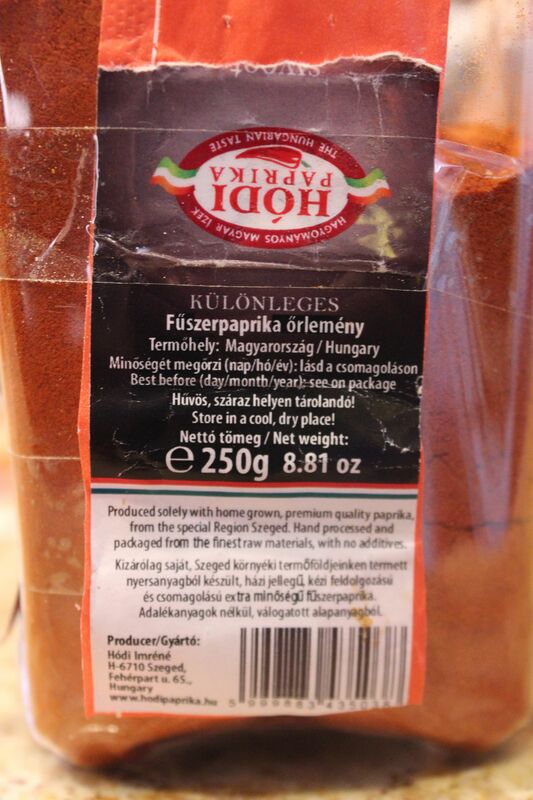 This is the time to eschew the stale old bottle of McCormicks for the brick red, gorgeous bag of pure paprika some aunt brought you back from a Danube river cruise stop in Budapest. The one you shoved to the back of your spice cupboard three years ago. Heat butter in a large pot. Add in onions, garlic, bell peppers, and bacon. Sauté about 5 minutes. 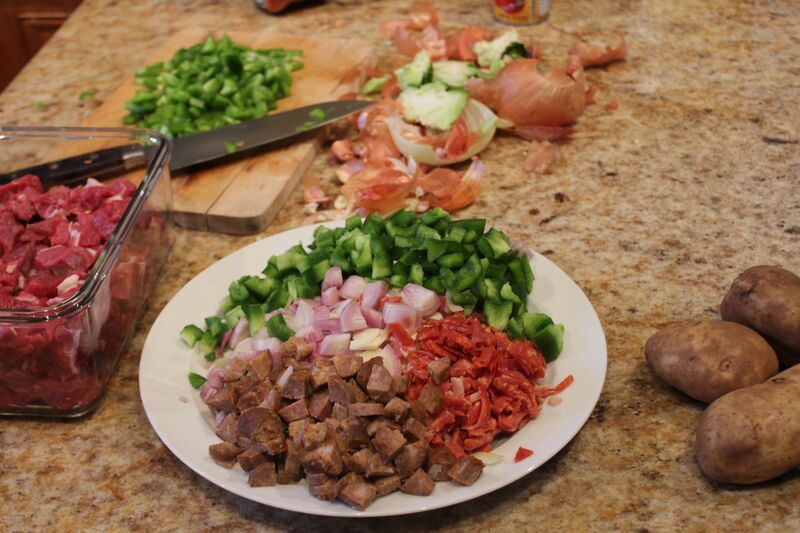 Add in cubed beef and brown meat. Sprinkle flour, paprika, caraway (and marjoram if using) over and stir a few minutes on low heat. Stir in tomato paste. Pour hot broth/water over and turn heat up. 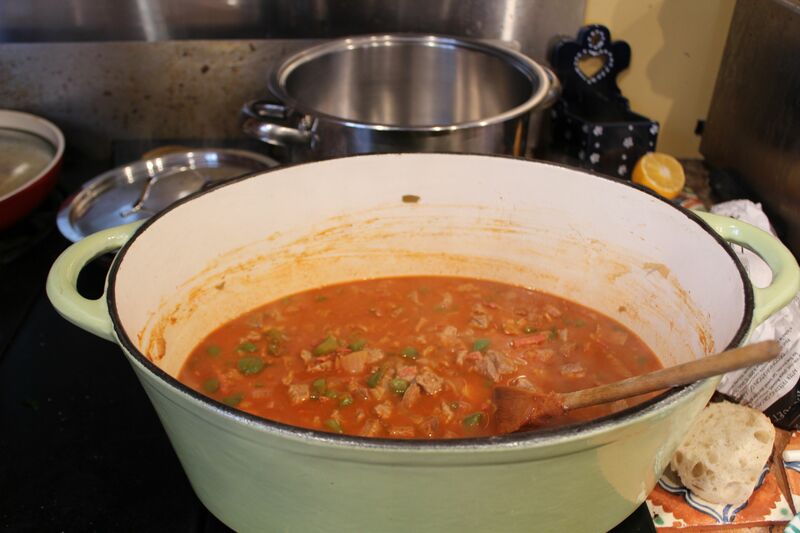 Cook for about 1 1/2 hours, until soup is rich and beef is tender. During the last 1/2 hour, add in potatoes cut into small cubes. Ski all day, then dig in! !